This hike is diverse but not at the top of our list. 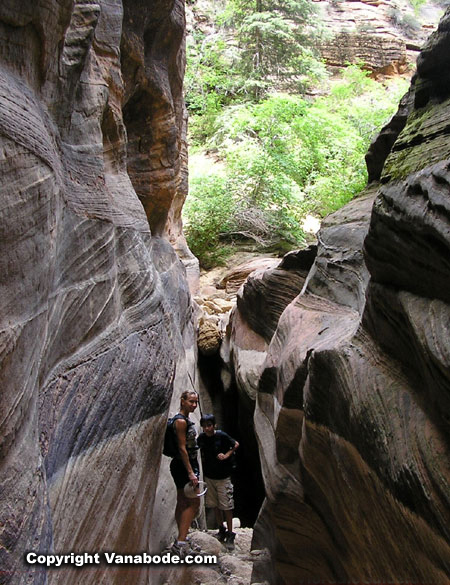 It is definitely worth doing if you have more than a week to spend in Zion or if you're jonesin for a strenuous hike. The farther you go the less people you will see as only a handful of hikers push to the summit. 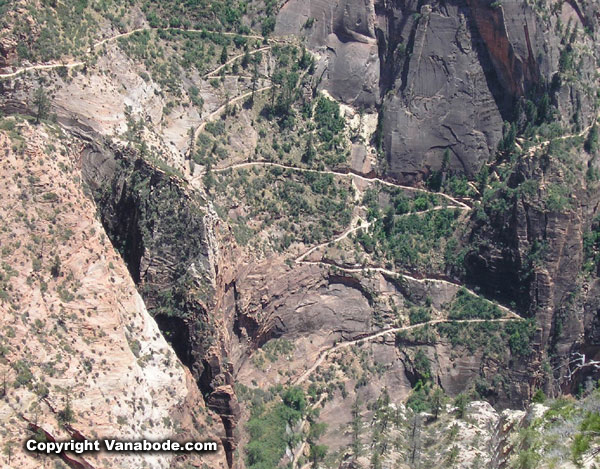 In the 1930's the Civilian Construction Corps constructed this trail connecting Zion's East Side with the main valley floor using dynamite, wheelbarrows and mules. 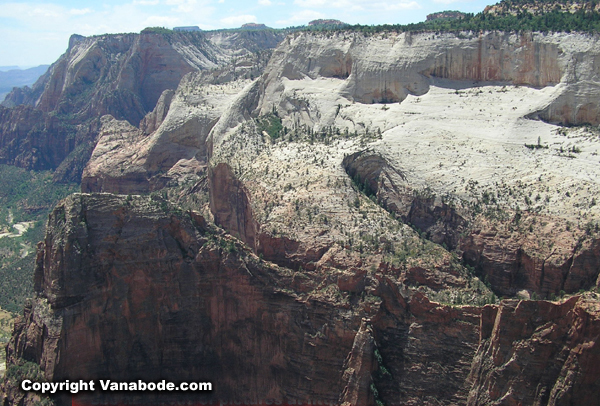 There are excellent views of Zion Canyon while hiking and at the Point. 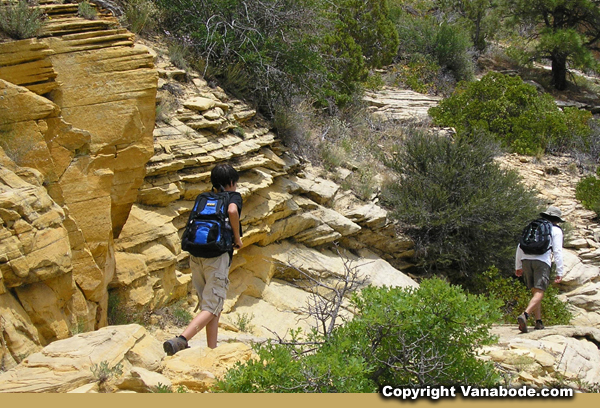 This trail also gives access to other East Rim plateau trails. Observation Point is rated strenuous. There are steep switchbacks right out of the gate for the first mile. These switchbacks are gruesome but Echo Canyon is not much further. This winding slot canyon is within the first hour and a great place to take a rest in the shade and have a well-deserved snack. At 2150 feet over 8 miles the whole hike is either all up hill or all down hill. Unfortunately, there was a fire near the summit and the juniper and pinyon pine forests were a little thin when we took this hike. 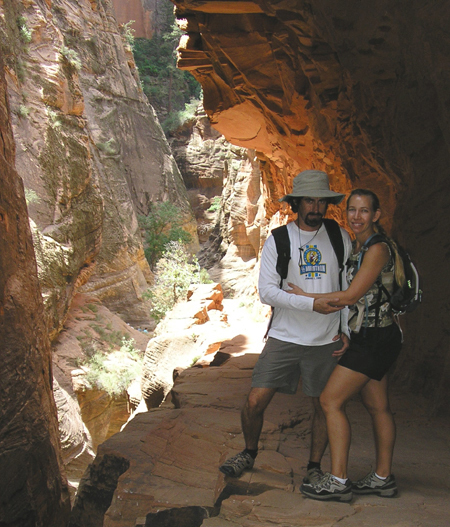 With most of the hikes in Zion Canyon the terrain is rocky, the hikes are steep, and the trails edge vertical cliffs. This hike is so steep you have to stop walking to look around, otherwise, you have to keep looking at your feet to keep from falling or tripping. 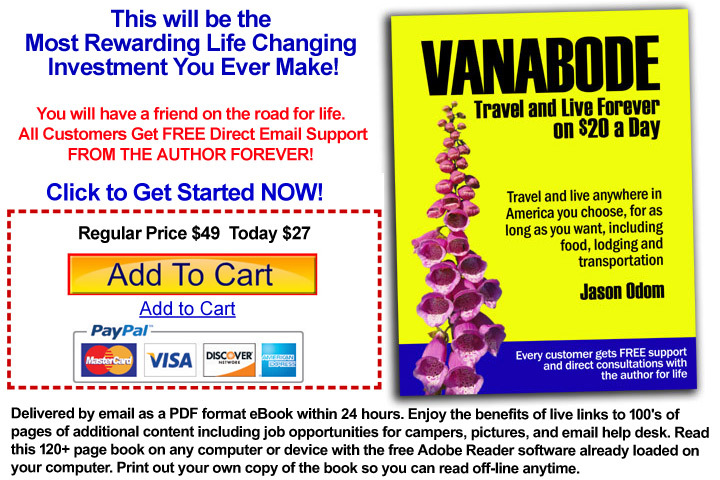 Jason's thoughts - Long hard hike. Don't take kids they tire too easily. 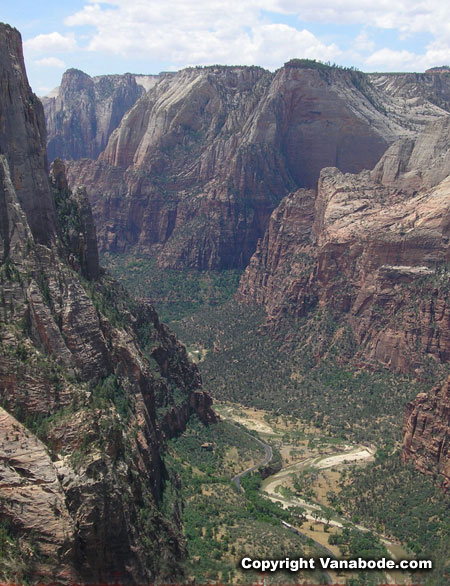 Views from Angels Landing are better for less effort. Kelly's thoughts - This hike wasn't too bad but definitely a long five hours. I prefer going up hill rather than down hill and after ascending 2150 feet there is the unfortunate descent of the same...oh, my knees. There is a variety of scenery and terrain you go through to get to the Point. 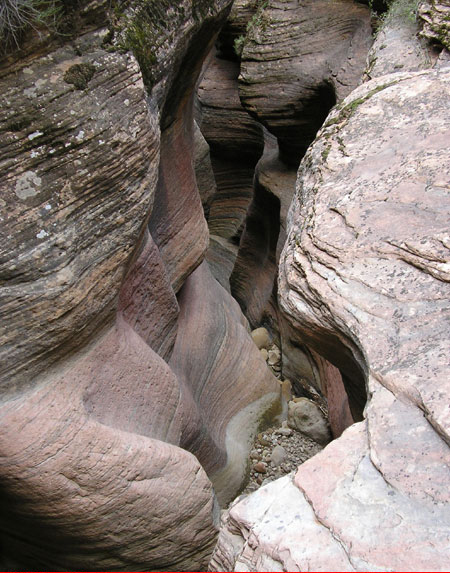 Unfortunately, to get to Hidden Canyon you have to go through the Observation Point switchbacks. For other trails off the Observation Point trail you have to repeat a few miles before the junctions. Ben's thoughts - It was really boring until we got inside the canyon and when we got out of the canyon it was hot. After that it started getting really boring, hard, and hot.